Time to get your holiday bake on! Ready for a completely last-minute Thanksgiving recipe that will do you right tomorrow? Or any day this winter? Well, here it is. We don’t really know what this is. 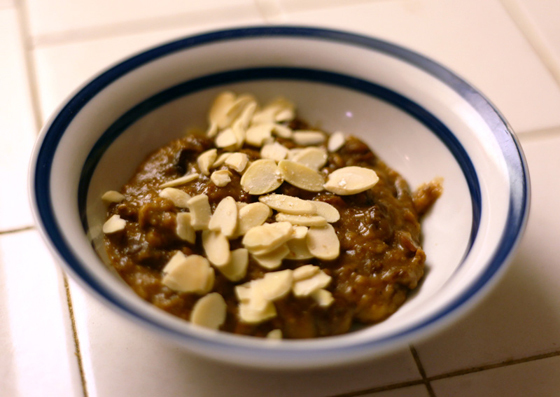 We started off calling it a tart, and then we called it oatmeal…ultimately, “snack” just fits the best. What’s so cool about this recipe is that it will not only last you a few days, but it can be used as an early morning breakfast, or an after-dinner treat, depending on how you serve it. It’s low cal, low fat, and packed with nutrients. Specifically, buy “tart” dried cherries, if you can – they are not only a lovely, tasty compliment to the oats and brown sugar, but they are a super fruit! We hear this term a lot, don’t we? In this case, without a doubt, it is true. Tart dried cherries are high in disease fighting antioxidants, beta carotene, and they also carry anti- inflammatory benefits. Nutritionists actually recommend tart cherries to help reduce post- exercise muscle and joint pain! What…? I just like the way they taste. Bonus! (did you know they also help prevent the effects of jet lag, too?) 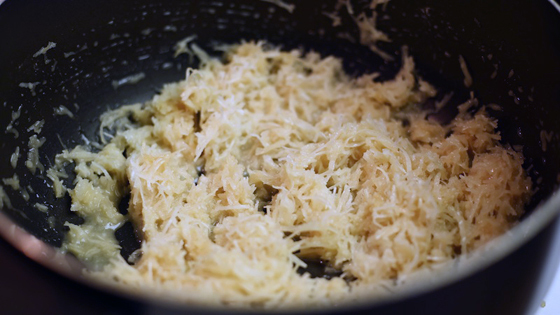 This recipe also contains a lot of natural fiber… so, ya know, thank me tomorrow or whatever! Here is the recipe I used, with some room for substitutions, based on what you have in your cabinet at the moment.